Welsh-Ryan Area is going high-tech, with Northwestern adding four high-definition video boards to the 62-year-old arena. 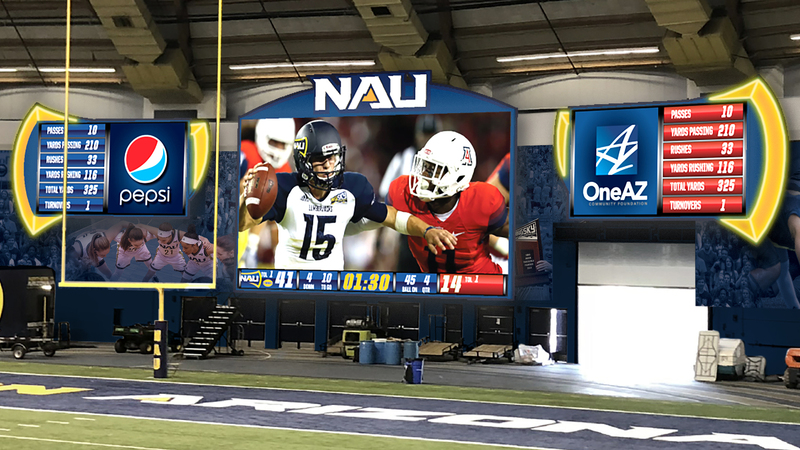 NU fans attending basketball games, volleyball matches and wrestling meets will notice a center-hung two-sided display board covering 300 square feet. Boards mounted on the east and west walls will cover 238 square feet. Installation will be completed by the fall, with a source telling the Tribune that a new court also will be installed by the fall to replace the purple-splashed one. And pads will be added to some bleachers for enhanced comfort. 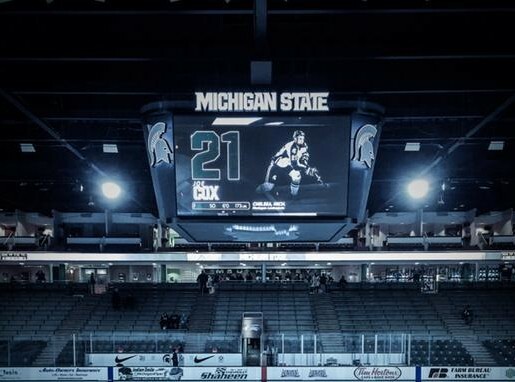 The scoreboards were designed by Anthony James Partners (AJP), which has engineered displays at arenas and/or stadiums at Michigan State, Ohio State, Notre Dame and Oregon, among others. 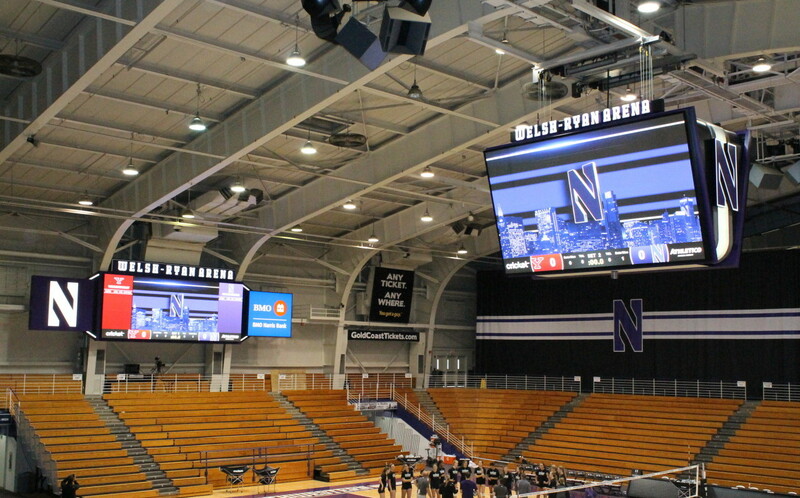 EVANSTON, Ill. –Fans attending Northwestern men’s and women’s basketball, volleyball and wrestling contests at Welsh-Ryan Arena during the 2014-15 season will experience the Wildcats as they never have before thanks to the addition of four high-definition quality video boards. 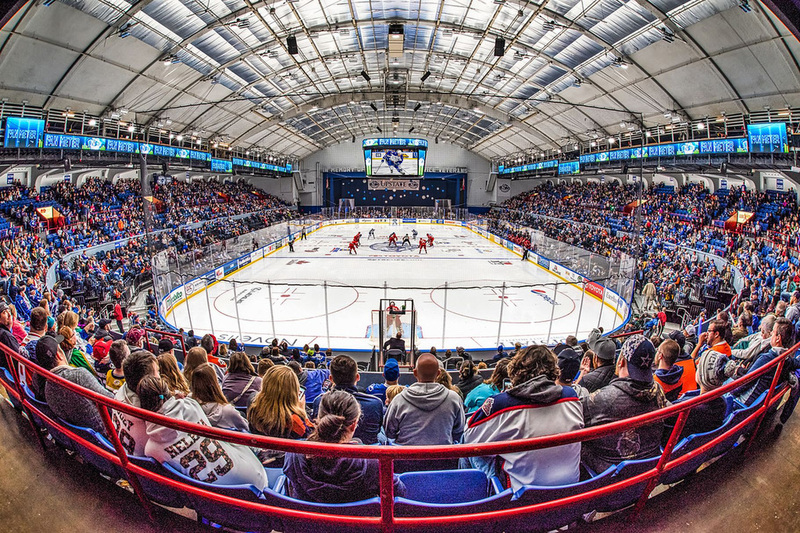 A center-hung two-sided display will face the north and south sides of the arena with each of the two boards measuring 23 feet wide and covering 280 square feet. 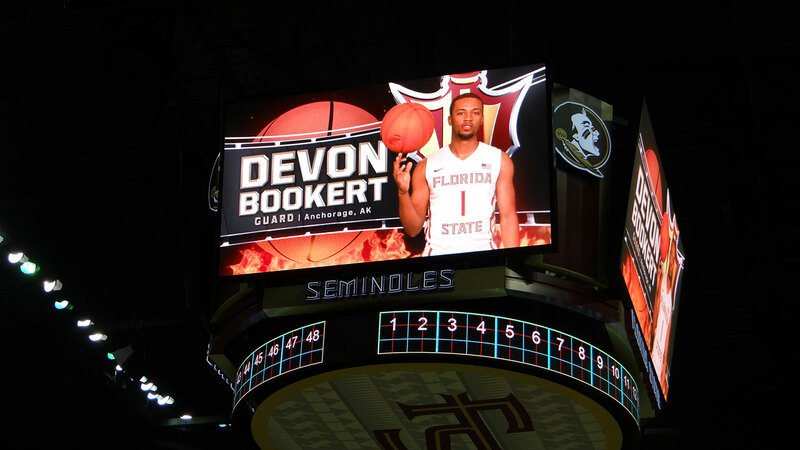 Additionally, boards will be mounted on both the east and west walls of the facility behind each basket. 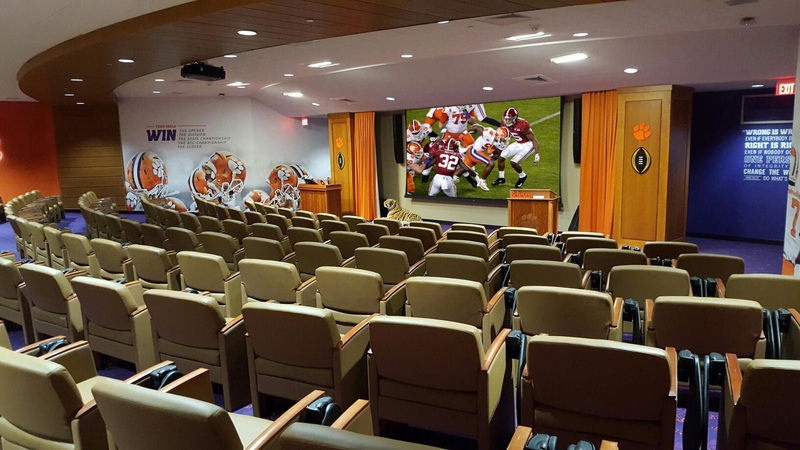 Those displays are 25 feet wide and cover 238 square feet. Installation of the boards is slated to begin following Northwestern University graduation ceremonies in late June and will be in place for the start of the 2014 volleyball home season. 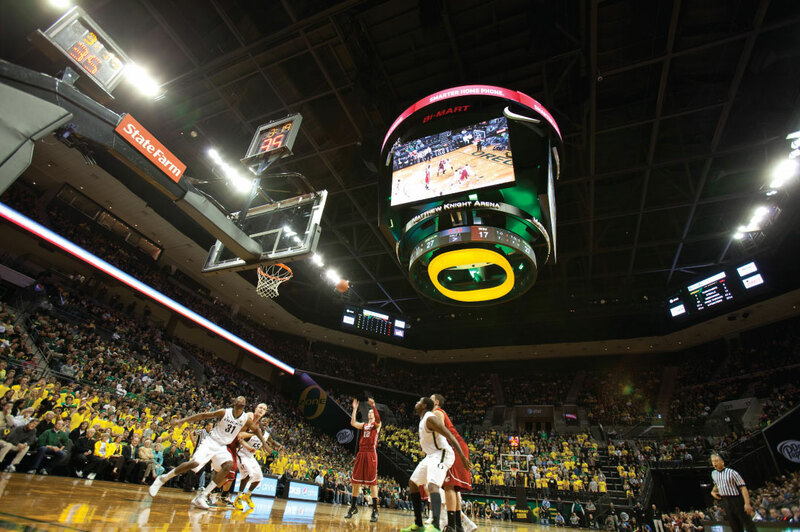 The scoreboards were designed by Anthony James Partners (AJP) of Richmond, Va. AJP has previously been responsible for implementing displays at Spartan Stadium and Breslin Center (Michigan State), Ohio Stadium (Ohio State), Purcell Pavilion at the Joyce Center (Notre Dame), Matthew Knight Arena (Oregon), Lambeau Field (Green Bay Packers), Nationwide Arena (Columbus Blue Jackets), Time Warner Cable Arena (Charlotte Hornets), BMO Harris Bradley Center (Milwaukee Bucks), Rose Garden (Portland Trailblazers) among numerous others at both professional and collegiate venues. The Welsh-Ryan Arena project coincides with a new scoreboard and LED boards for Ryan Field for the 2014 Northwestern football campaign that also were designed by AJP. Concurrently, a brand new control room that will manage the boards within Welsh-Ryan Arena as well as Ryan Field will be housed inside McGaw Hall. 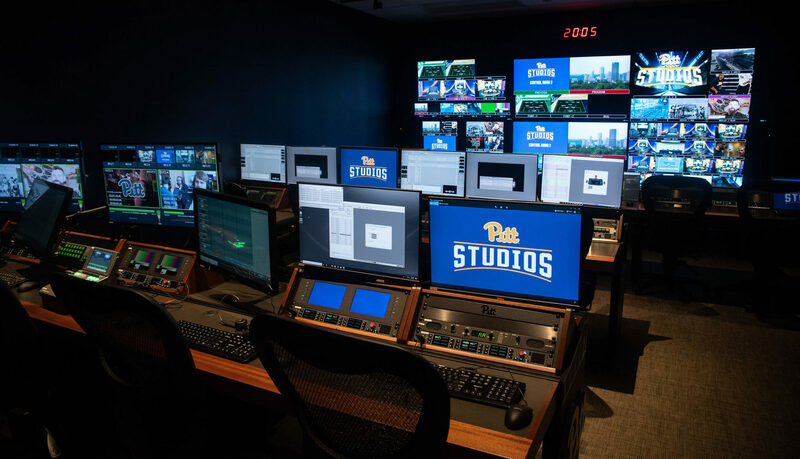 Hughes Integration, the same company responsible in part for ESPN’s forthcoming new SportsCenter studio, will handle the same for Northwestern.